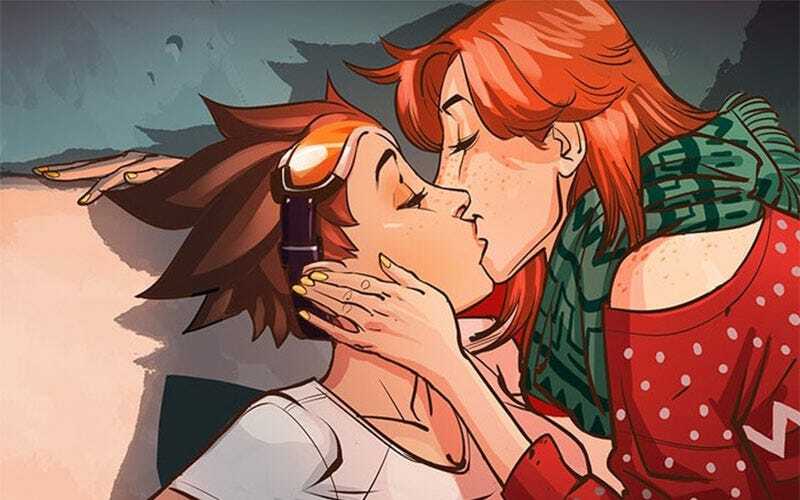 To recap, Overwatch’s Tracer is gay. Until now that’s been a fact contained to offscreen fiction, but the latest update to the PTR (Public Test Region) has dropped in a new voice line that references Tracer’s girlfriend Emily within the game itself. The line isn’t available in the regular version of Overwatch yet, but you can expect it’ll turn up pretty soon.